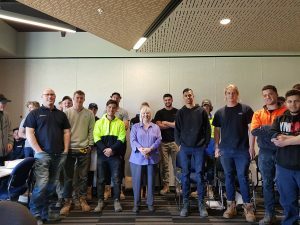 Today the 11th September the ACV/GARDS girls traveled to Chisholm TAFE Berwick to deliver the first of 4 asbestos awareness sessions to apprentice plumbers. We had 40+ very engaged apprentices who asked many and varied questions. 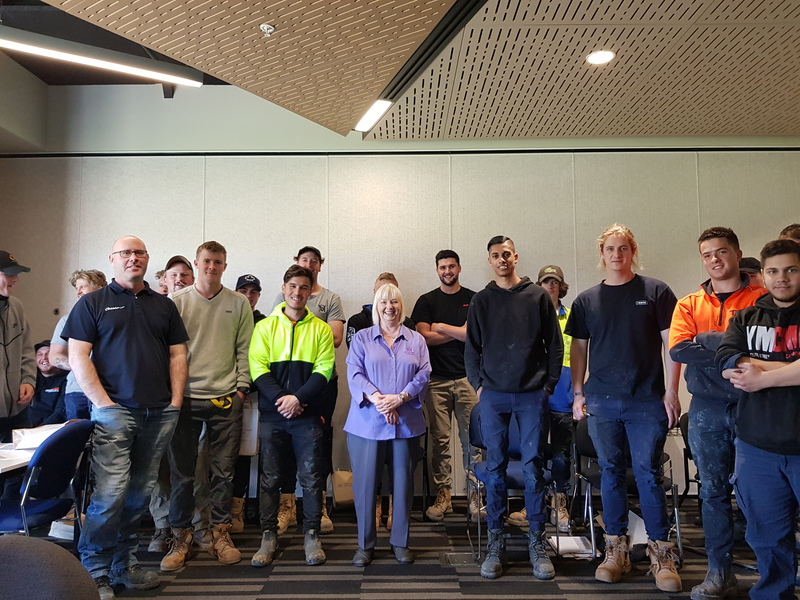 It was a real privilege to have the chance to chat with these apprentices and to try and make them asbestos aware – we hope in the future that this sort of info might help these future plumbers being exposed to asbestos in their work places and homes. Thanks to trade teachers Nick and Rod for the session today and joining in.